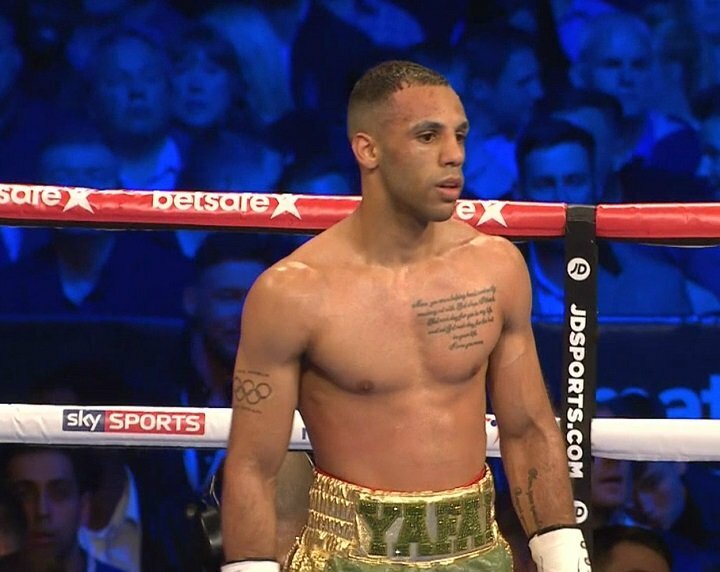 By Tim Royner: WBA super flyweight champion Kal Yafai (24-0, 15 KOs) will be headlining this Saturday night on November 24 against #14 WBA Israel Gonzalez on Sky Sports at the Casino de Monte Carlo Salle Medecin, Monte Carlo, Monaco. The card is promoted by Matchroom Boxing. Yafai, 29, made weight on Friday in coming in over the limit on his first weigh-in attempt. He then stripped off his clothes and weighed in successfully. Israel Gonzalez (23-2, 10 KOs) was knocked out in the 10th round earlier this year by International Boxing Federation World Super Flyweight champion Jerwin Ancajas. It’s unclear why Yafai’s promoter Eddie Hearn chose Gonzalez for him to fight. Gonzalez was knocked out nine months ago by Ancajas, and he’s done precious little since that fight other than beating two journeyman level fighters in Jairo Gutierrez (6-11) and Daniel Arturo Vega (8-8). Those are not the type of opponents that you’d like to see a fighter face before getting a second world title shot in the same year. Hearn likely selected Gonzalez for comparison sake. If Yafai can jump on Gonzalez and knocked him out quickly on Saturday night, Hearn can start broadcasting how much better he did against a common opponent than Ancajas. The boxing fans would then in theory draw a straight line from there to conclude that Yafai is a better fighter than Ancajas. It would be far better for Hearn to simply put a deal together between Yafai and Ancajas so that the boxing fans can see things more clearly without needing to speculate. Ancajas looked like he was taking it easy on Gonzalez the entire fight. Even when Ancajas stopped Gonzalez in the 10th, he didn’t even looked like he was trying to KO him. Gonzalez simply folded from Ancajas’ heavy hands. If Yafai wins this fight, there’s a possibility that he could face Roman ‘Chocolatito’ Gonzalez in 2019. That’s the fight is being talked about. Hearn wants to match Yafai against Chocoatito, as he believes that will take his career to the next level. It’s too bad that Chocolatito has lost 2 out of his last 3 fights and is looking like a shot fighter at 31. The guy that Hearn hasn’t been talking about wanting to match Yafai is Chocolatito’s conqueror Srisaket Sor Rungvisai, who twice beat him and also recently defeated former flyweight champion Juan Francisco Estrada. Rungvisai is seen as the best fighter in the 115 lb weight class now that Naoya Inoue has departed the division in moving up to bantamweight. Hearn might not see Yafai as having the needed talent to defeat Rungvisai, because if he did, he would be making that fight right now instead of matching him against the recently knocked out Israel Gonzalez. – Frank Buglioni (22-3-1, 16 KOs) vs. Fanlong Meng (13-0, 8 KOs) in a 12 round fight at light heavyweight. This might be too tough of a fight for the 29-year-old Buglioni, who keeps falling apart each time he’s matched against a decent level opponent. Buglioni was knocked out in the 1st round by Callum Johnson last March. Buglioni also has losses to Fedor Chudinov and Siarhei Khamitski. Buglioni is hoping that a win over Meng will put him in position for a world title shot, but it’s unclear if that’ll be the case. It’ll depend on how the sanctioning bodies view the quality of Buglioni’s opponent. Although Meng did fight for China in the 2012 Olympics, he still hasn’t done anything special since turning pro in 2015. Bugllioni is probably going to need to beat a better opponent than this for him to get a title shot. Buglioni is going nowhere even if he wins this fight. He lacks the talent to win a world title at 175, and he has no business fighting against the champions in that weight class. – Michael Hunter vs. Alexander Ustinov will be battling it out in a 12 round fight. This fight by far is the more intriguing one on the Matchroom card this Saturday. 2012 U.S Olympian Hunter (15-1, 10 KOs) is facing a giant in 6’7″ Ustinov (34-2, 25 KOs), and he’s going to need to come up with a way to deal with the size issues that he’s going to be presented with. Hunter has looked good in fights against Oleksander Usyk, Martin Bakole Ilunga and Iago Kiladze. Hunter, 6’2″, should be able to use his youth and high work rate to beat the aging 41-year-old Ustinov. This is a fight that is perfect for Hunter. He’s got the talent to beat Ustinov, who is on the slide due to his age and inactivity. Hunter is catching Ustinov at the right time in his career. – Daniyar Yeleussinov (4-0, 2 KOs) vs. Marcos Mojica (16-2-2, 12 KOs) in a fight scheduled for eight rounds at welterweight. Matchroom Boxing promoter Eddie Hearn has high hopes for the 2016 Olympic gold medalist Yeleussinov, who comes from Kazakhstan. The unbeaten fighter isn’t being given the same kind of massive push that Hearn is doing with 2016 Olympian Josh Kelly, but he appears to be the better fighter of the two. Kelly is from the UK, and he has a lot of boxing fans inside the country. Yeleussinov still doesn’t have the fan base in the UK, but he looks to be the better fighter and the guy with more potential to go somewhere as a pro. Thus far, Hearn is taking it easy with Yeleussinov by matching him soft despite him winning a gold medal in the 2016 Olympics. Yeleussinov is capable of beating good opposition if Hearn will let him face higher quality fighters. Since turning pro earlier this year, Daniyar has reeled off four quick wins over Matt Doherty, Gabor Gorbics, Zoltan Szabo and Noah Kidd. Yeleussinov’s fight this Saturday night against 33-year-old Nicaraguan Mojica more along the same lines of the type of opponents that we’ve been seeing from him. This is a fight that will likely end early unless Yeleussinov decides to keep him around.